A few years ago, Tel Aviv was recommended as an ‘Outstanding Culinary Destination’ by Saveur, the respected gourmet food magazine . 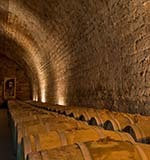 There were none of the more classic wine tourism venues such as Bordeaux, Tuscany or Rioja mentioned. So it was a list to promote discussion and open people’s eyes to some of the more exotic or unknown wine regions. 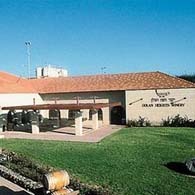 Having said that, it was excellent to hear the Israel was recommended as a wine travel destination. A few years ago, Israel would not feature on any list for gastronomy or wine. Today with Israeli Chefs gaining attention in the main cities of gastronomy throughout the world, and Israeli wine having had a cover feature in the Wine Spectator, Israel is now being given new respect and attention for its cuisine and its wine. Certainly it is a fascinating country to visit and experience through the spectrum of its food and wine.